Wallabies coach, Michael Cheika, says he is in no hurry to appoint a new attack coach after Stephen Larkham was axed, and suggested the team has some cards up their sleeve heading into the World Cup. “There’s no major hurry, we’re not training yet are we?” he told Fox Sports on Saturday evening. “There are a few things that I want to unfold first and I probably reckon about May sometime in the lead-up to another camp. I’ve got a few people in mind,” he added. “I’m not going to tell you that because the people don’t know. 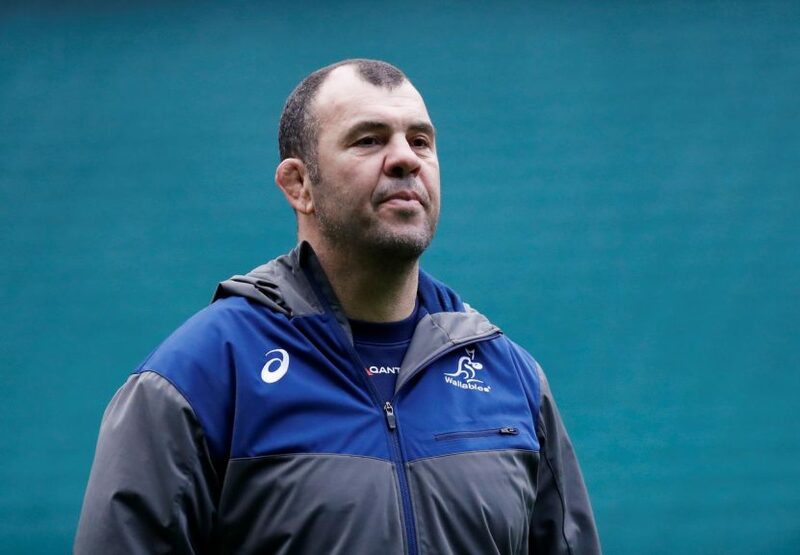 They’re in Australia,” says Cheika. Fox said Waratahs coach Daryl Gibson, Cheika’s former New South Wales assistant was a potential short-term option for the World Cup, while Wallabies great Matt Giteau has also been linked to the role. “The person we bring in will be someone I think that will be with the players, on field a lot, not build a lot of strategy, more getting players to embrace strategy and understand it so it’s automatic on the field,” said Cheika. The two-time world champions, who made the 2015 final, will head to the tournament in Japan this year with few giving them much chance after their poor season last year. However, Cheika suggested the Wallabies could have some surprises in store. The combination has been a point of contention, with Australia’s lineout often exposed when both start and Pocock generally plays out of position at No 8. “I think this year we’ve certainly got some other options around the backrow. I think sometimes having (Hooper and Pocock) playing together will be really useful and sometimes, having one coming off the bench will be really damaging as well,” says Cheika. He also has to decide where best to play his versatile backs, particularly Super Rugby’s record try-scorer Israel Folau, in his usual fullback role or outside centre. The post Wallabies’ Cheika in no hurry to appoint new attack coach appeared first on SABC News – Breaking news, special reports, world, business, sport coverage of all South African current events. Africa's news leader..